Being the innocent party in a motoring accident can be a very costly experience, and whilst insurance policies will cover many of the expenses that we have to experience, they won’t cover everything. This is where Motor Legal Protection can help, and in particular the Uninsured Loss Recovery it provides. What is Uninsured Loss Recovery? Uninsured Loss Recovery is a term generally referring to the practice of recovering expenses after an accident. It’s something which can be done by a driver themselves (requiring some legal knowledge and costing time and money on the part of the driver), although the service is also included as a feature of some insurance policies. This service is to prevent individuals from being left out-of-pocket following an accident that wasn’t their fault, and one such policy that includes it is Motor Legal Expenses Insurance, also known as Motor Legal Protection. Often purchased alongside a new vehicle insurance policy, some policies include it automatically, but it’s more likely that you’ll have to pay an additional premium for it. 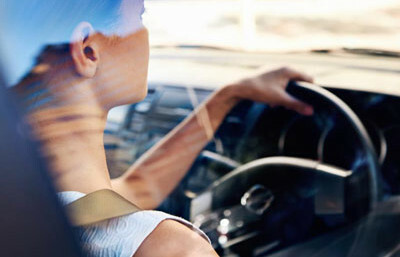 Motor legal cover is a relatively cheap form of protection, but one that can prove invaluable if you find yourself dealing with unexpected expenses not covered by your standard car insurance policy. Mr. Cole stops his car at a roundabout. Another car, going too fast, drives into the back of him. The rear of Mr. Cole’s car is badly damaged and he is left injured. Mr. Jones is driving the other car and is at fault. While his insurance will pay for the damage to Mr. Cole’s car, there are many other expenses incurred for Mr. Cole. Following the accident Mr. Cole is shaken. He is able to pull his car to the side of the road but it then needs to be towed home, which he has to pay for. Mr. Cole, after dealing with the accident, had to arrange a visit to his doctor. He is self-employed and this causes him to lose half a day’s earnings. He ends up paying for extra phone calls in relation to the accident, paying for public transport in the short-term and then eventually hiring a car to use until his vehicle has been repaired. In addition, he has his own policy excess to pay. Mr. Cole wasn’t the one that caused the accident but he’ll feel the financial effects. In addition, Mr. Jones’ insurers will try to avoid accepting Mr. Jones’ liability, potentially delaying any payout that Mr. Cole is due. After a non-fault accident, you can claim compensation to cover your costs, but you’ll have to initiate this process and negotiate a figure yourself. However, with the everyday demands of life, few of us would be able to devote the time and effort that would be required. With Motor Legal Protection, a legal representative would do this for you, not only offering expertise and efficiency but also the peace of mind that, in a non-fault accident, your uninsured losses would be recovered. ‘No-win, no-fee’ services are often the first port of call for those without any form of motor legal insurance, and while they can help you recover some uninsured losses, these companies show a bias towards claims for injuries. Aside from this, even if your claim is successful, a significant portion of your payout will go to them. Having a motor legal protection policy would eliminate the need to navigate any of these rocky routes, firmly placing you in the driving seat. It’s important to understand that the Uninsured Loss Recovery service of motor legal protection isn’t just helpful for the financial benefits. After an accident, it’s comforting to know that professionals are shouldering some of the stress and frustration by chasing claims on your behalf. You’ll be able to recover physically and emotionally from the accident without concerns about your financial situation, easing out your transition back to life as normal.